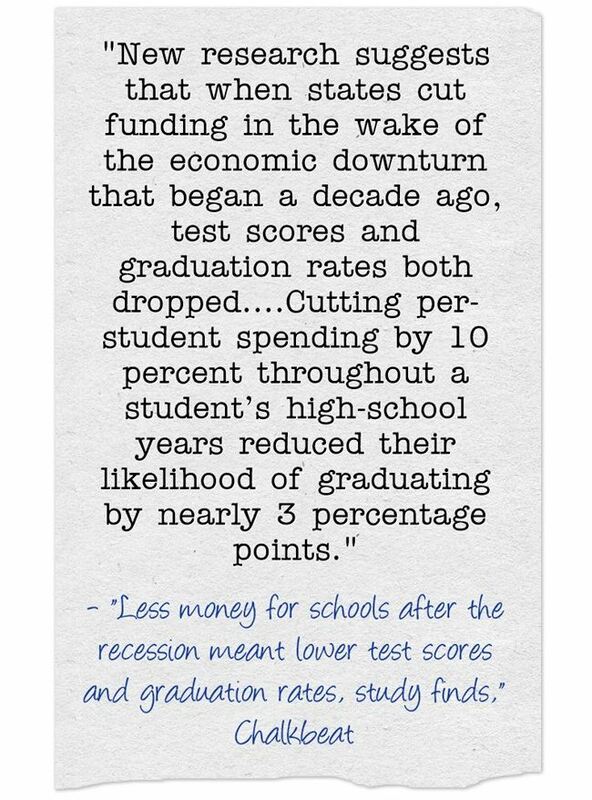 To the surprise of not a single teacher anywhere, a new study has found that reduced school funding during the Great Recession had a negative impact on students. Less money for schools after the recession meant lower test scores and graduation rates, study finds by Matt Barnum in Chalkbeat provides a good summary of the research, co-authored by Kirabo Jackson. I’m adding this info to The Best Sites For Learning That Money Does Matter For Schools.